Nothing is more important than getting it right. Your brand and its presence in today’s digital space is just as important to us, as it is to you. At idotyou, our focus is on creating digital assets that do more than just stand out. We create assets that bring conversion. It’s our commitment to ourselves, and to you. Take a step of faith with us. Comedic, punchy short video ads to promote Tesco Clubcard Malaysia app. 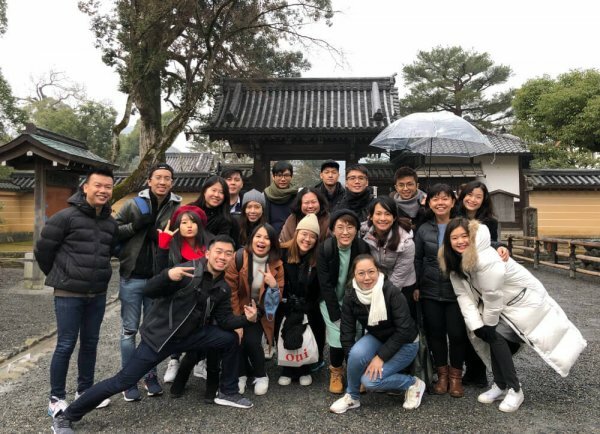 IDOTYOU and its business partners went on its annual company trip to Kyoto. Think big, start small, build deep. Don't say "oops". Always say "ah, interesting". A vision without execution is just hallucination. Go for it. Take chances. It's either you win or you learn. There are no shortcuts in life, let's do it "frame by frame". As simple as a dot, can make a wonderful masterpiece. Love what you do; Do what you love. Enjoy to the fullest! Let your smile change the world, don't let the world changes your smile. Be willing to teach, but more importantly - to be taught. Live the moment. Cherish the present. B-8-3, Northpoint Office, Mid Valley City, No 1, Medan Syed Putra Utara, 59200 Kuala Lumpur, Malaysia.